Leave the ordinary behind as you relax in style aboard our luxury launch on the beautiful clear waters of Lake Wanaka. 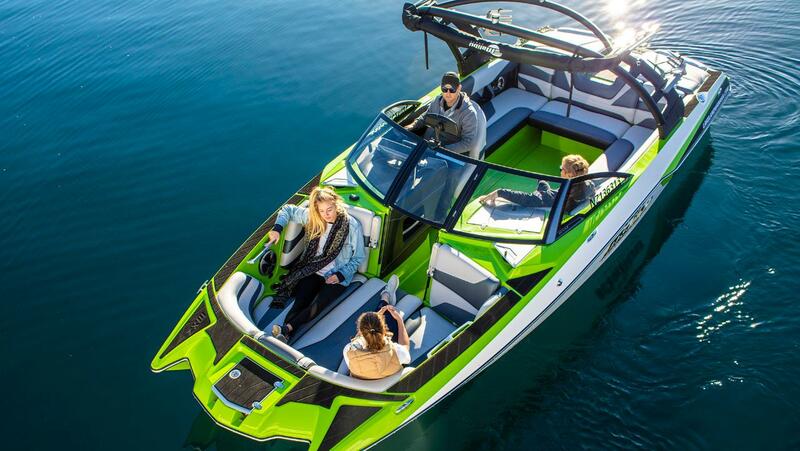 Recline in the front lounging area, sink into our gorgeous upholstered interior or gear up and embrace the water behind the global leader in water sport boats. Our launch offers luxurious comfortable seating for 12 passengers equipped with drink holders and sound system; take the opportunity to enjoy a wine or turn up the music and relax while taking in the spectacular Wanaka landscape. 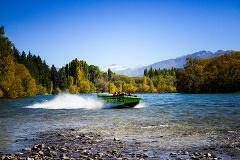 Cruise into untouched wilderness of central Otago’s Lake Wanaka. Sit back, relax and enjoy the spectacular scenery of world famous alpine mountain range. Take panoramic photos accompanied by a lively and informative commentary from your skipper. We run no set route or trip, providing choice for your own excursion destination. Sun bath on the deck, plunge into the water using our rear swim deck or tour to a secluded bay and do it all. Club Malibu is the perfect relaxing, soothing environment to wrap up an extraordinary day on the legendary waters of Lake Wanaka. Plan your next get together with a private escape aboard Club Malibu’s new luxury launch. Club Malibu offers the ultimate of comfort and exclusive charters on Lake Wanaka with the option to create your own customized tour itinerary. With luxury charters available for any occasion, whether you’re planning a wedding, a business outing or a simple gathering with friends and family, make your next event one not to forget.